When Sıla Gençoğlu returns to the stage at Indigo at The O2 on 17 May, it will have been a little over a year since her last concert in the capital. Simply known as Sıla, the 37-year-old from Denizli, southwest Turkey, made an immediate impact with her self-titled debut album back in 2007. She’s gone on to release a further seven: six studio albums and one live, the last, Mürekkep, in 2011. The singer-songwriter loves to perform live and is currently touring Turkey and Europe. Her music remains hugely popular; consistently delivering the big hits this past decade has ensured she is an ever-present in the Turkish charts. Turks continue to shake their hips to Sıla’s upbeat tracks like Aslan Gibi, Engerek, Vaziyetler, Kafa and Yaz Geliyor Heyoo, and sing along to her soulful ballads about love, yearning and heartache such as Yan Benimle, Yabancı, and Zor Sevdiğimden. 1. 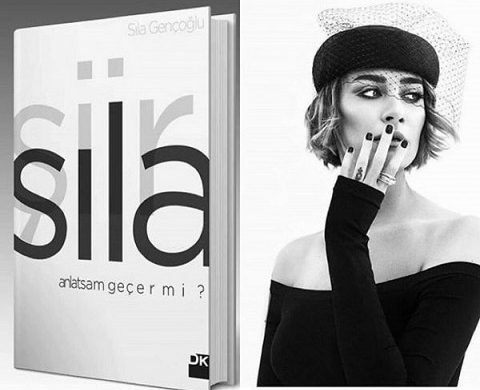 Sıla – the natural successor to Turkey’s Queen of Pop Sezen Aksu? Sıla’s lush rich vocals are often likened to Turkey’s Queen of Pop Sezen Aksu, and fans and media often name Sıla as Sezen’s ‘natural successor’. The two actually came together at the start of Sıla’s career in 2006, when they co-wrote Töre (Custom), the theme tune for hit TV series Sıla about a modern Istanbul woman who marries the head of a wealthy Kurdish clan in southeast Turkey and ends up taking on the community’s strong, patriarchal traditions. The soap opera broke ratings records when it was also televised across Eastern Europe and the Middle East, and having also sang the theme tune, Sıla’s international profile quickly grew as overseas and domestic fans clamored to hear more from her. For the past few years, Sezen and Sıla have also dominated Spotify’s Most Listened To List of Turkish Female Artists, the two women regularly trading the top spot between them. She may have dropped out after her first year at university, but former literature student Sıla rekindled her passion for the subject in a poetry book she released last year. Titled Anlatsam Geçer Mi (Will It Pass If I Explain), the poems show off a different side to her artistry. Many reviewers said they had been pleasantly surprised by the quality of her first literary outing. The poems have been likened to the rhythmic style and emotional themes of her songs. A must-have for all Sıla fans. Her debut single …Dan Sonra featured superstar singer Kenan Doğulu. Sıla penned the lyrics, while Kenan’s older brother and hitmaker Ozan Doğulu wrote the music and produced the track. The result was the biggest Turkish song of 2007. …Dan Sonra spent three months at number 1 in the Turkish charts and also made it into the European charts. This song’s video was also massively successful garnering enough views on YouTube to make it globally the 12th most viewed music clip of the year. Sıla was one of the prominent famous faces at the Gezi Uprising in 2013. At the end of her Istanbul concerts that year, she would encourage her fans to meet-up at the protest site, which for a month had become a huge peace camp. The protest started in response to plans to remove the historic Gezi Park, one of the few remaining green spaces in the heart of the city. The government’s heavy-handed response quickly escalated these to national anti-government, pro-democracy protests. Three years later, Sıla proved she had more backbone than many of her peers when she publicly refused to attend the huge ‘Democracy and Martyrs Rally’ on 7 August 2016, a few weeks after the failed coup attempt. The singer said “I won’t be a part of this type of show” (‘Böyle bir şovun içinde olmayacağım’). While many criticised her at the time and councils loyal to President Erdoğan cancelled her bookings at state-owned venues, Sıla refused to kow-tow to public pressure, stating ‘if this is about democracy, I stand behind my words’ and condemned those who tried to misrepresent her. In February of this year, she joined millions of ordinary Turks sharing her disgust and dismay at the revelations around child and domestic abuse in the country, posting the imprint of a child’s hand to demand these stop. Ne zaman bu haberleri duysam yüreğim sıkışıyor. Çocuk istismarı kabul edilemez, tecavüz kabul edilemez, şiddet kabul edilemez. Kız-erkek tüm çocuklarımızı korumakla sorumluyuz. Onların sesi olmak zorundayız! Sesimiz duyulana kadar bağırmak zorundayız! In an interview with Turkish daily Milliyet early in her career, the singer opened up about her past times. She had taken up kickboxing to keep fit and alleviate stress. She also described as a homebody, spending hours listening to music, reading, and watching documentaries on National Geographic. She lvoes to hang out in the old districts of Istanbul, where she lives, including Sultanahmet, Bebek, Beyoğlu and Nişantaşı.